Just imagine, you’re sunning yourself on the beach by the luxury hotel The Jolly Roger on Smugglers’ Island off the coast of Devon, not a care in the world. A fellow guest tells you that a celebrity is also staying at the hotel. After checking that it’s someone who famous for actually achieving something, rather than being famous for being famous, you cheer up and look forward to meeting them. And then you’re introduced to Hercule Poirot… My advice – run. Because someone’s going to get murdered and it might well be you. Oh, and on the off-chance you’re a murderer? Give up now. Such is the case for a group of holiday makers, but as a) this was written seventy two years ago (blimey) and b) they’re fictional characters, my advice goes unheeded. Arlena Marshall, a former actress and general magnet for men of a certain character, is sunning herself in a reclusive cove, only to be discovered later, laid out on the beach, sun-hat over her face, strangled to death. A number of guests seem to have motives for her murder, but they have all got iron-clad alibis. Can Poirot find the killer? Of course he can. Hmm. Not sure about the general feeling for this one amongst the reviewing community. It’s certainly the classic Agatha Christie set-up and I went into it knowing who the murderer was. I hadn’t read the book before – I don’t think – but I have seen the Peter Ustinov film which does fiddle with a lot of the sub-plots but keeps the killer and the structure of the crime intact. I certainly enjoyed the book – it keeps the focus on the crime and it’s from a good return to form for Poirot after the disappointing Sad Cypress and (from a distant memory) One, Two, Buckle My Shoe. It feels like a slightly earlier Poirot – in fact it feels a bit too much like one in particular. Now I’m not going to name it, as if you’ve read that one and not this one, or vice versa, it’ll spoil the other book for you. But I’m going to discuss it vaguely anyway – if you’ve read the major Poirot books, then the one that I’m talking about was one of the Poirot novels published in 1937. On a basic level, Christie plays the same game with the distractions away from the murderer and the “things aren’t quite what they seem”. And the unfortunate thing was that all I could think about once this occurred to me was that she did it better the first time. The other point to raise – and I was keeping an eye out as I read it – are there any actual clues to indicate who the murderer is? Obviously Poirot’s given solution is correct, given the subsequent events, but, for the reader, this is a solution (and not the only one) that fits the given facts, rather than a solution that must be true. I’ve had a mild whinge at other authors for this sort of solution but if Dame Agatha was doing it, why shouldn’t anyone else? Nevertheless, despite being rather harsh here, it’s a fun read and is the sort of Poirot story that Christie is most renowned for. Recommended. I bought this copy with my own pennies – obviously, no publisher is sending round Agatha Christie novels to review, are they? Why not pop to your local bookshop to get your copy? This is one of my Hercule Poirot favourites. I regard it as brilliant, with a clever plot and vivid characterization. The solution is ingenious. It is a page-turner (like most of Christie’s books) and it is difficult to put down the book till the end. There are a number of clues which, though seemingly insignificant, fit together perfectly in the solution. 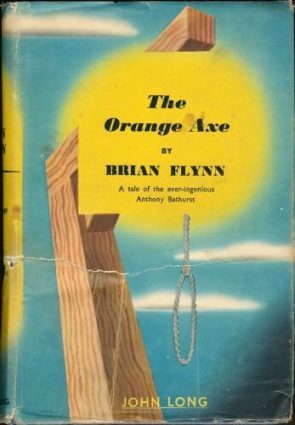 You regard another Hercule Poirot book similar to this and published in 1937 as better than this one, but in my opinion both are equally brilliant. I disagree on the relative quality – but I consider the other book to be one of Christie’s masterpieces – certainly one of the best two Poirot novels. As for the clues, there are plenty of hints, all of which could apply to other possibilities. I think it comes down to the definition of the word “clue”. Perhaps I need to widen the definition when discussing the clueing on other works. There’s also a short story with the same plot structure as this book, but with an inverse solution, which was interesting. But I agree that the *other* novel is better: the characters are more vivid, the clues are better placed, and Christie’s writing is fine. It’s all relative. I think if the other didn’t exist, I’d love this one more. But it does, so I don’t. But it’s still head and shoulders above a lot of other Poirot novels. Wikipedia told me about the short story, but as I haven’t read it, I thought I wouldn’t mention it. I think the points you raise are absolutely fair Steve as I had the same thing happen to me – once I recognised the re-use of the fake triangle motif to create the unbreakable alibi from that earlier classic then it does in fact seem a bit too similar. It’s still an ingenious story but in many ways I actually prefer the Ustinov movie adapted by Anthony Shaffer because although it can’t quite get away from the similarities (and the casting doesn’t help in this oddly enough), it does provide a wealth of distractions with its new Ruritarian relocation, bitchy showbiz dialogue and the lovely Cole Porter music (certainly prefer it to the Suchet version by Anthony Horowitz, which also fiddles around with the story a bit). There’s a nice visual clue to the Ustinov film that I remember, which of course makes no sense when you think about it. There must be easier places to hide a jewel than to wave it around under people’s noses. I gather that it dispenses with the “candles” bit of the plot, which I thought was a relatively weak red herring. As ever, I haven’t watched the Suchet version (although as it was written by Horowitz, I might take a look – think it’s on Netflix). I’ll look out for Dead Man’s Folly this week though, as I read that recently. Which I underdstand (not that I remember it all that well) – the TV show dumps a lot of the book and has a completely different ending and villain. I love the settings of Christie’s novels, but her “clues” are vague to the point of non-existent, and the culprit is usually someone who was introduced like on page 39, briefly, and never heard from again. In other words, Agatha Christie cheats. I did like Ustnov. I don’t think that’s a fair comment about the killer. I’m not sure of any Christie where I had to look up who the killer was. It’s usually part of the main cast of characters. The clues need more thought on my part. I know of no novel by Agatha Christie where she “cheats” in this manner regarding the culprit. Since I’ve tried Agatha for the lovely settings at least, I’ve read several. I won’t read them again. If I may suggest: The ABC Murders, Death On The Nile, Mrs McGinty’s Dead, Taken At The Flood are probably my favourite Poirot’s in terms of a good straightforward puzzle. For Marple, The Moving Finger or A Murder Is Announced are probably the best. Next library run I will take your list with me. In fact, I’m doing a post on my blog challenging myself to see if my bad experience was a one-time glitch and opening up comments to reviews of Agatha Christie with salient points sited. It’ll be fun if nobody gets mad. And I’m not mad. I just like to hear different views. P.S. I’ll have to look up Paul Doherty. I’ve missed that one. I’ve been going through your posts one by one to check out the titles. I’m enjoying it. Thanks for the kind words. For Doherty, check out this post. The series novels tend to be more traditional mysteries – the Hugh Corbett and Brother Athelstan in particular. You might also like the Amerotke books set in Ancient Egypt. Good luck. I dunno. There’s certainly a lot to debate about Christie. Certainly a lot of classics, but also a lot of predictable stuff. And she has some very odd ideas about psychology. But I’m not sure the abundance of her clues IS up for debate. I mean, surely they’re either there or they aren’t? If someone can point them out, they’re there. And you can, by the bucketload. Same with the murderers. I can only think of a handful where it’s not a member of the main cast (admittedly, sometimes her characters can seem less than memorable, so even heavily-mentioned characters are easily forgotten). Of course you can debate whether the solutions make any SENSE… (*COUGH* ACKROYD *COUGH*) But that’s her making a mistake, not cheating. I wouldn’t recommend Taken At The Flood for strength of clueing, to be honest. There’s one very strong and memorable one, but I can’t recall a lot of others. And it’s not a very neat solution, even if there’s some strong writing. But Death on the Nile is a justifiable classic. It almost has too many clues! One of her most solvable, I think. the culprit is usually someone who was introduced like on page 39, briefly, and never heard from again. Puzzle Doctor is right. Of the Agatha Christie books I’ve read, the killer does usually appear from the main cast of characters. The mystery writer I know who has a tendency of surprising the reader by revealing that the killer was a minor character who only appears briefly in the book (and doesn’t appear to be one of the main suspects) is Ellery Queen. Maybe I had it backward. I’m going to re-read and find out. Puzzle Doctor gave me a list. I’ll look forward to proving myself wrong. Obviously, Agatha Christie wants to fool the reader, but the way she throws them off-guard regarding the killer varies from novel to novel. I won’t say which book this is, but in a recent Christie book she did the opposite track of picking the “least-likely suspect”. It wasn’t somebody introduced on page 39 who disappears, but a prominent character who appears throughout the book. Know how in many Agatha Christie mysteries there are a young woman and a young man who meet each other and fall in love? They also make friends with either Hercule Poirot or Jane Marple and help them solve the mystery. You don’t seriously consider either of the “lovebirds” suspects—but in one Christie book the killer turns out to be one of those stock characters! It really threw me for a loop. 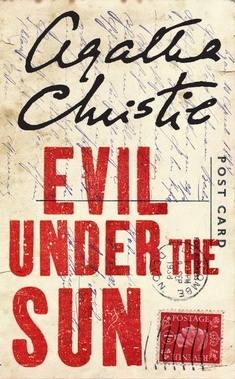 Now I’m going to take a look at Evil Under The Sun even though, thanks to the Peter Ustinov movie, I already know who the killer is. Wish me luck! 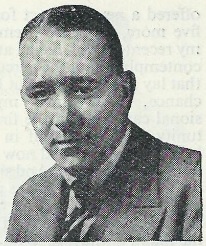 Edward. Loved your comment. And I do wish you the best of luck. I also love Peter Ustinov. I had promised Christie die-hards that I would re-read some of her books (it’s been a few years), in order to determine if my recollection was based on just one book — not a good way to draw a conclusion — or more than one. Somehow I got it into my mind that she “cheated” on her red herrings. Now you have reminded me that I need to go back and find out if my conclusion was, indeed baseless. Do you remember the name of the book you mentioned about the lovebirds that threw you for a loop? I also got mixed up on something I posted about the Lord Peter Wimsey series by Dorothy L. Sayers. I read so much, sometimes I get my characters confused. But I do love British mystery. It makes the world seem civilized, cultured — that “all’s right with the world”. These days that could be called fantasy. Best of luck. Very nice review.This one was published in 1941, and the Poirot book I last read was published in 1928, and I am mostly reading in order…. so it will be a while before I get to this one. 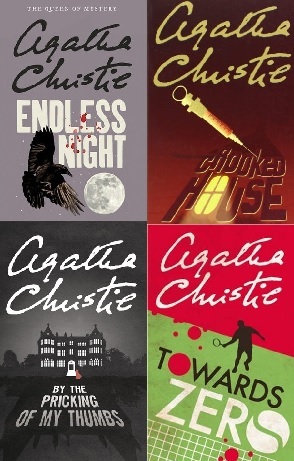 Poirot is not my favorite Christie protagonist, but I am warming to him. It’s just a bit convoluted isn’t it? And so much that can go wrong. [Other novel we’re not mentioning] is far-fetched, of course, but at least the plan there only has one step to it. Although I think I disagree about there being other solutions that fit the facts. True, a lot of the clues (baths, bottles etc.) are incidental, even trivial, but they DO need to be explained. I think more that most of the early mysteries, Christie’s own prejudices shine through here. Many great mysteries revolve around a central “truth”, an assumption that people make that allows the killer to get away with their crime. It’s a great way to write a mystery, because it means that the core is easy to explain and you’ve engaged in a bit of social analysis to boot. But the truth here (about sunbathers, to be as oblique as possible) seems like the opinion of a grumpy woman who disapproves of holidays and decadence, rather than a genuine revelation about human foibles. In terms of clues, I think the only thing that is difficult to explain is Arlene’s perfume in the cave. The [being vague] fiddling with the time didn’t necessarily happen. I suppose the mysterious bath as well… but given the unlikely actual solution, there are ways of explaining it. But you’re absolutely right about Christie framing things around a central assumption. At least here she doesn’t hammer the misconception home as much as in other books. Yes, it’s not as bad as you sometimes get, but if you don’t agree with her it’s hard to go along with the rest of the solution, which is already a stretch without an unwilling reader. It’s supposed to be clever, but it just comes off as monstrous snobbery. Slippery slope arguments are dubious, I know, but it always seems like a short hop to something like: “But of course NO-ONE would notice a [servant/foreigner/woman].” It gives me the creeps. Yes, I hate that too. Sorry GK Chesterton but that story is rubbish. A couple of months ago, Puzzle Doctor recently read And Then There Were None by Agatha Christie. He might be interested to know that both N*****/Indian/Solder Island of that book and Smuggler’s Island of Evil Under The Sun were both inspired by the resort hotel on Burgh Island just off the coast of Devon. I’ll raise thst fact with the fact that the Suchet Evil Under The Sun adaptation was filmed at the hotel that inspired both books. I’ve read a lot of Christie and usually just for fun. I’m never too eager to spot the criminal. But as to Christie being predictable — she was an early writer in this genre and so I don’t know how she could have been too predictable (except when she’s stealing from herself! ).